From coast to coast, Apple is having quite a time with the legal system. The company may still be at a standoff with the Justice Department about unlocking a terrorist’s iPhone out in California, but here in New York’s Eastern District court, a federal judge has ruled that the government can’t use the 227-year-old All Writs Act to force the company to unlock the phone belonging to a drug dealer. The New York case is separate from the ongoing fight in California and the two situations involve different aspects of iOS encryption, however. In California, Apple filed a motion in court last week to vacate the order that it cooperate with the FBI. One of Apple’s lawyers spent his Tuesday in Washington, testifying in front of the House Committee on the Judiciary. 9to5Mac and other sources are now reporting that rumored Apple’s upcoming spring event has moved back a week from around March 15th and will now be in the week of March 21st. No invitations yet, though! It’s not real until you see the invitation! In app news, Google has also given iPhone users a bit of parity with its Android peeps by adding the “pit stops” feature to the iOS version of Google Maps. And, in a reverse for the Reuters TV app we talked about a few months ago — the one that was that was only available for iOS — the company has now released an Android version. One of Google’s self-driving cars smacked into a city bus in California last month, which has the Santa Clara Valley Transportation Authority investigating things. Google admitted its Lexus RX450h auto-piloted vehicle bears “some responsibility” for the incident. Microsoft’s HoloLens augmented reality headset looks like it’s actually becoming a reality for developers. The dev kit edition is now available for pre-order from the company, with a chunky $3,000 price tag and delivery on March 30th. Also new, but slightly cheaper: The Raspberry Pi 3 barebones computer is now on sale for a mere $35. In drone developments, a new model from DJI has the ability to sense and avoid obstacles in its way, and also, to track people and animals. 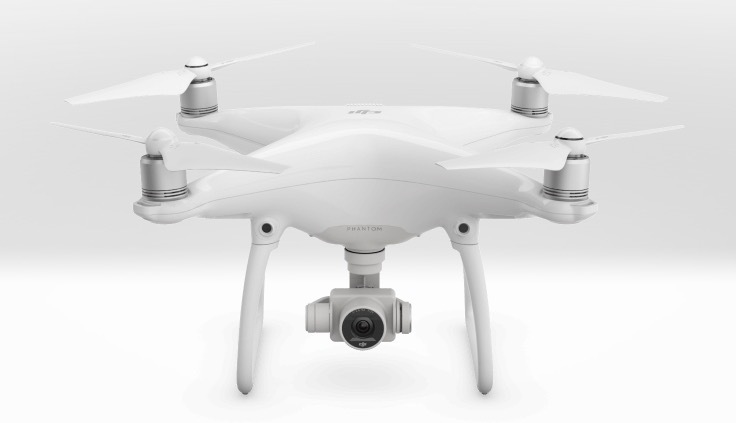 The DJI Phantom 4 costs about $1400 and follows its subjects automatically using cameras, sensors and ActiveTrack technology. Also tracking: Sleep cycles. Over on the Medium site, a Danish developer posted the results of a little project he did that used the Last Active timestamp data gleaned from the web-based version of Facebook’s Messenger service to figure out the sleeping patterns of his Facebook pals. Facebook was not too happy about his work and someone else using the same data they collect about you themselves, and was fussing because he posted the code for the project online. McDonald’s has noticed the low-budget virtual-reality craze brought on by the Google Cardboard viewer and is busting a move of its own — in Sweden. The fast-food giant is launching a promotion there over the next couple weekends, and it lets kids fold their Happy meal boxes onto VR viewers to see a smartphone-based VR game especially created for the occasion. These special meal containers are called Happy Goggles and yes, you get fries with that. The Brita filter people have joined up Amazon’s Dash Replenishment Service to create the $45 Wi-Fi Brita Infinity Smart Water Pitcher that automatically orders more Brita filters when it needs them. No word on if the pitcher has any tiny cameras embedded in its lid so it can scope out what else in in your fridge and report back to Amazon. Sony has a new beta out for its PlayStation 4 software. Although the version 3.5 beta doesn’t contain the feature that allows you to remotely play PS4 games on a Mac or PC, the feature is coming along sooner than many anticipated. 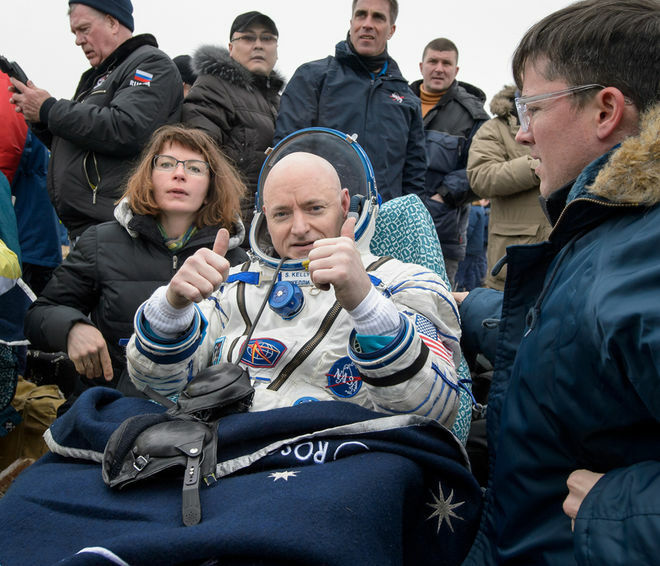 And finally, Commander Scott Kelly is back on Earth this week after 340 days aboard the International Space Station. Welcome home, sir! Don’t have time during the day to go deep with all the news flying around the Internet? Thanks to a number of news orgs, you can get a quick crib sheet of current events so you’re at least in the loop with what everyone else is talking about. 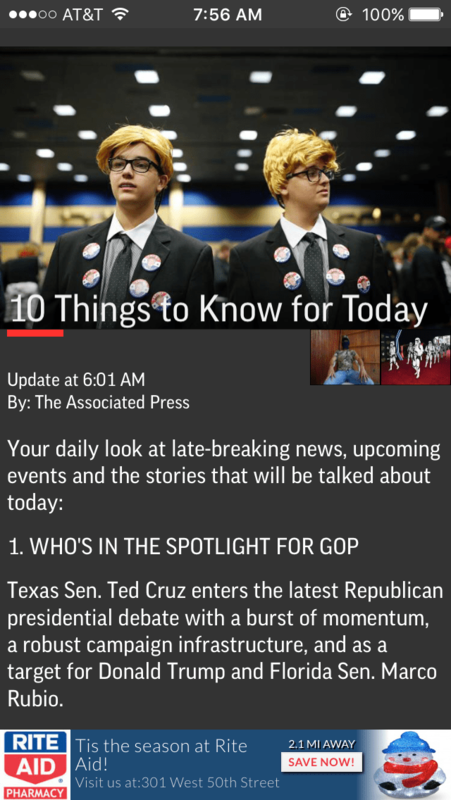 For example, the Associated Press’s AP Mobile app for Android and iOS routinely offers a daily list called “10 Things to Know for Today.” You get the quick headlines — and you can go back to the app and follow up the full stories later when you have more time. Ten items too much of a commitment? Try the “5 Things You Need to Know” list from the website for a magazine called The Week. The print version of the publication, by the way, serves as sort of a weekly reader for adults to collect capsule summaries of the top national and international stories of the past seven days. The New York Times has a witty New York Today daily briefing you can get by email or read on the web, and it includes stories of local interest, traffic and transit updates — even the weather forecast. 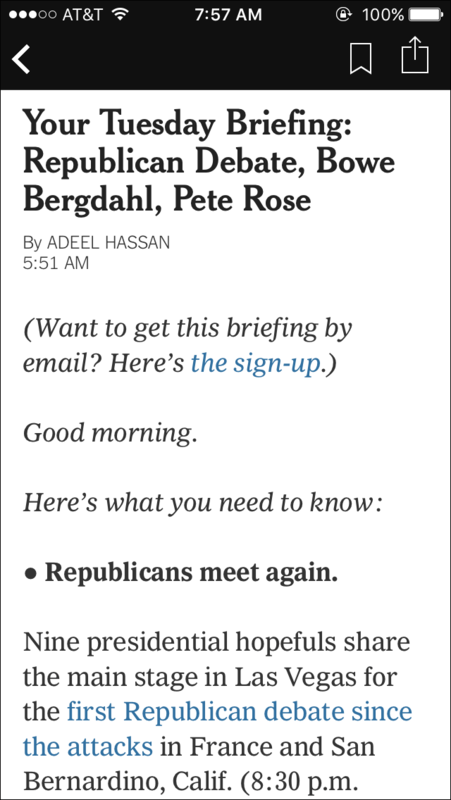 In its wide selection of email newsletters for which you can sign up, The Times has morning and evening briefings with top stories around the country and world. There’s also an afternoon update, and early headlines from Europe and Asia. The NYT Now app for iOS grabs the top stories out there for a quick look. Want spoken words instead of written ones so you can multitask? 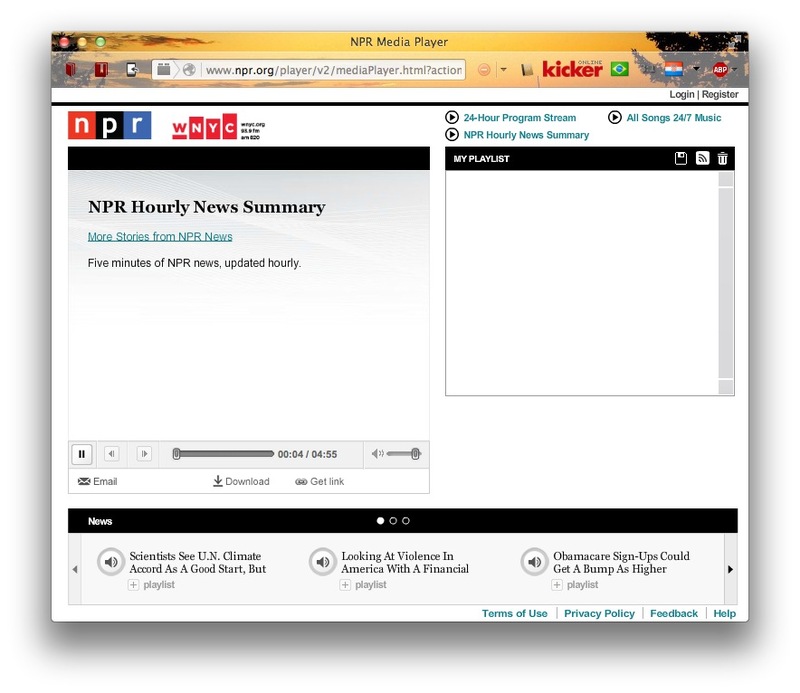 National Public Radio’s NPR Hourly News Summary gives you a quick five-minute recap of the current state of the world and it’s updated about every 60 minutes. You can listen to it on the NPR website or stream it through NPR News apps for Android or iOS. If you don’t have five minutes, the BBC World News website has a One Minute World News video update, though the short commercial at the beginning is an extra 15 seconds. And if you need a little more on the video, check out Reuters TV, which you can watch in a web browser, as shown below. Go to the site and it gives you an instant newscast with whatever if going on in the world at the moment. If you have an Apple TV or iOS device, you can also use the Reuters TV app, which asks how much news you want to watch — 10, 15 or 30 minutes — and then instantly whips together a newscast of the day’s top stories based on that amount of time.